Eileen Naughton is responsible for digital media strategy, marketing and operations across Google’s display advertising businesses in North and South America. 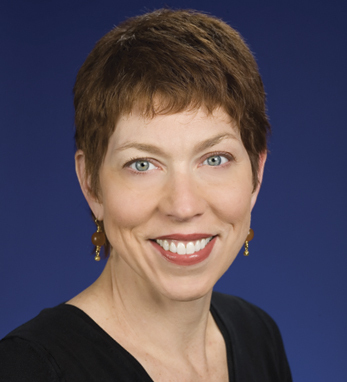 Eileen joined Google in 2006 as director in the North American direct sales organization. Previously, Eileen had a distinguished career at Time Warner Inc., where she was president of the TIME Group. AdAge Magazine featured her as a “Woman to Watch,” in a 2007 issue, and in 2009, she was featured in How Remarkable Women Lead, a book focusing on successful female leaders by McKinsey & Company consultants Joanna Barsh and Susie Cranston. The American Diabetes Association has named Eileen a “Woman of Valor” for her work to raise awareness of the obesity epidemic. She holds a bachelor’s and a master’s degree in international studies from the University of Pennsylvania, and an MBA from its Wharton School. Eileen’s father was from Roscommon and her mother grew up in Drumcliff, in the mountains near Sligo.